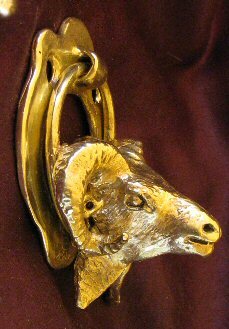 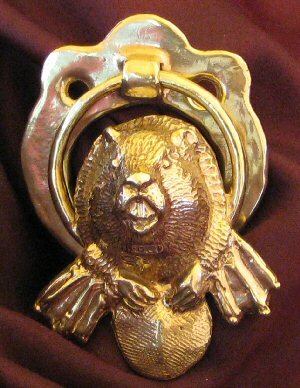 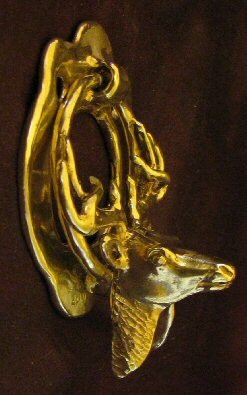 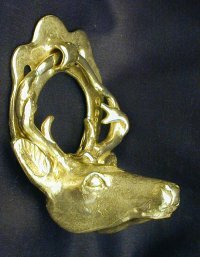 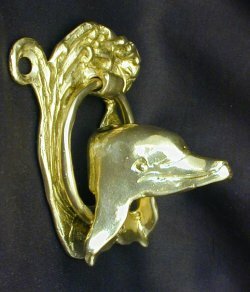 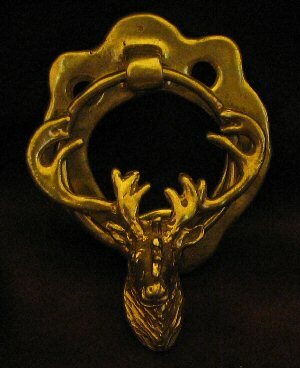 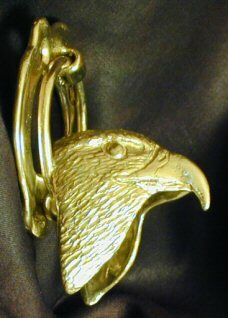 Wildlife Small Door Knockers / Cabinet Pulls $45 ea. 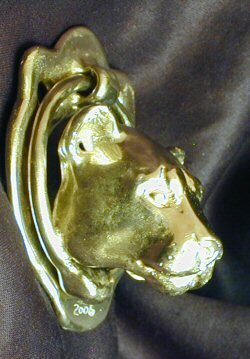 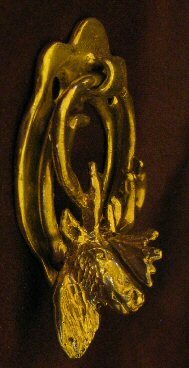 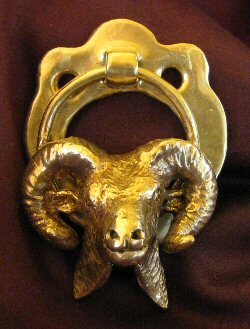 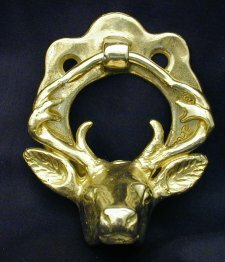 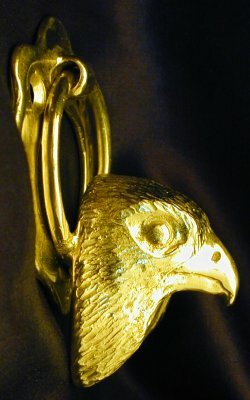 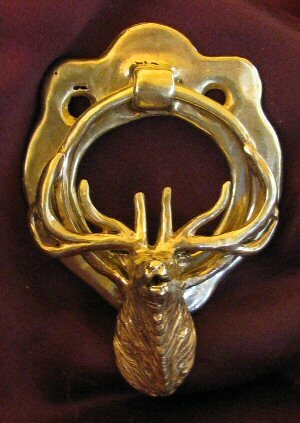 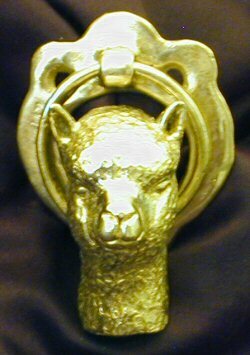 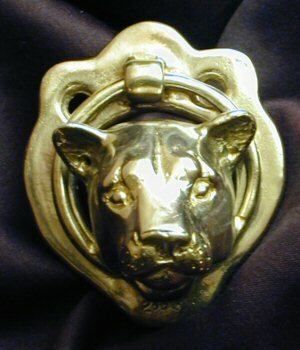 Quantity discounts available ($42, $35) -- 3 D animal heads, hollowed out behind, on top of a bronze ring with a bulge on the bottom, beneath the head, for the striker. 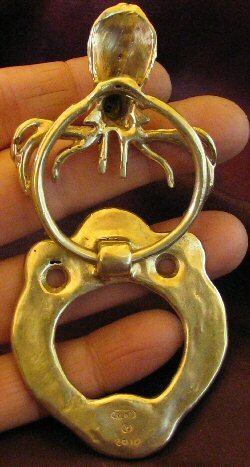 The animal and ring hinge on a circular back plate, circling down to a disk for the strike plate. 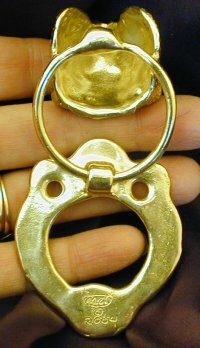 Two oval head screws are provided to fit in the two holes in the back plate. 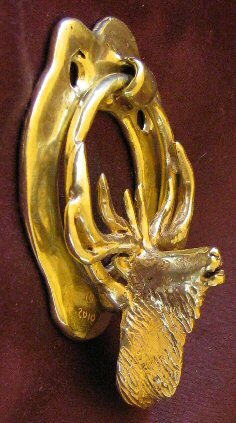 About 2 1/2" high x 2 1/4" wide. 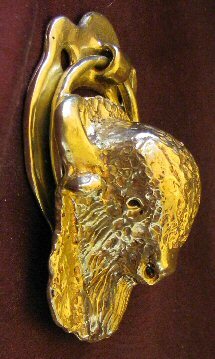 These are especially useful on interior doors, where you might need privacy, such as Bedrooms and Bathrooms. 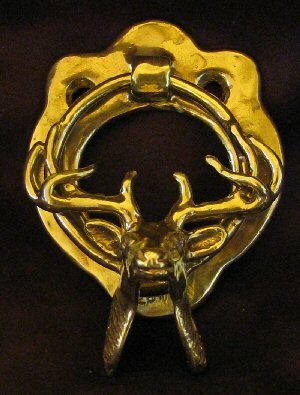 Oval head screws included. 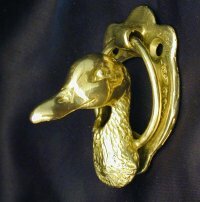 Wildlife Small Door Knockers / Cabinet Pulls $45 ea. 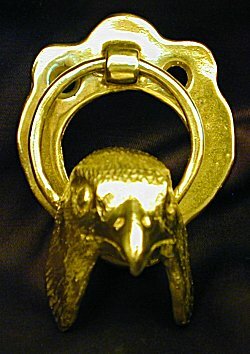 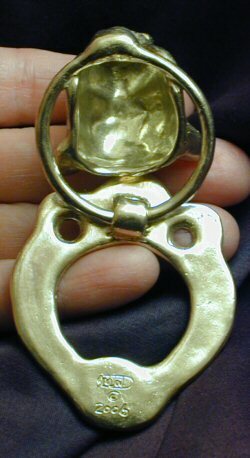 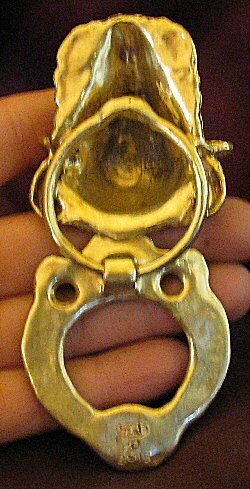 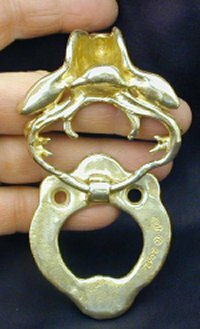 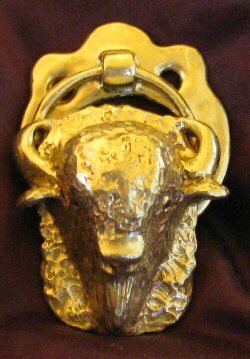 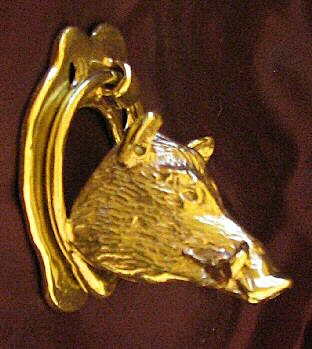 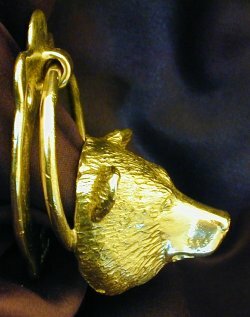 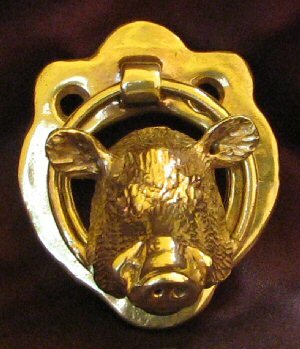 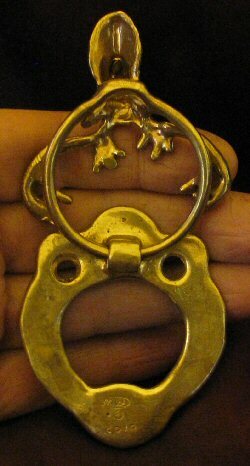 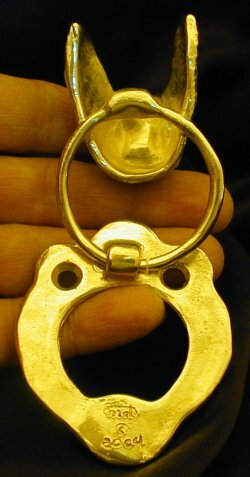 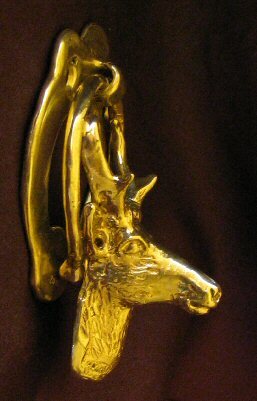 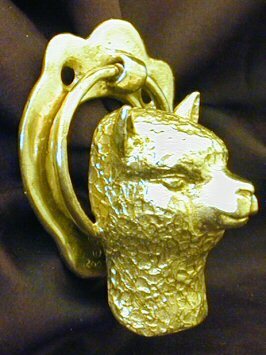 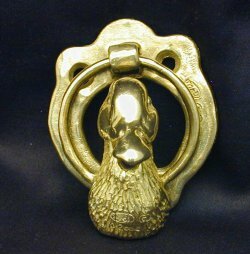 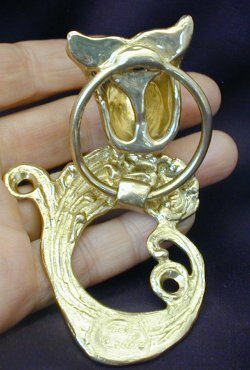 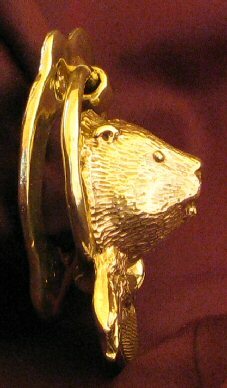 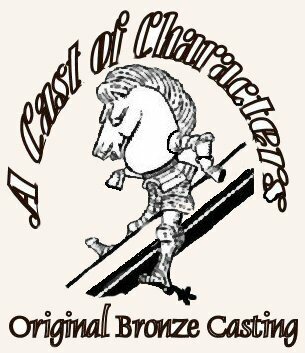 Quantity discounts available ($42, $35) -- 3 D animal heads, hollowed out behind, on top of a bronze ring with a bulge on the bottom, beneath the dog head, for the striker. 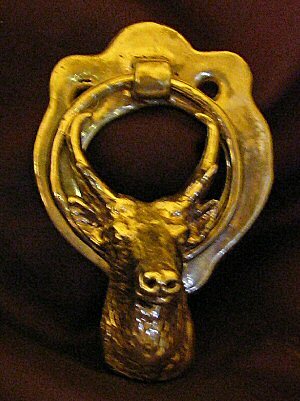 The dog and ring hinge on a circular back plate, circling down to a disk for the strike plate. 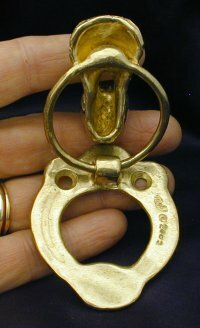 Two oval head screws are provided to fit in the two holes in the back plate. 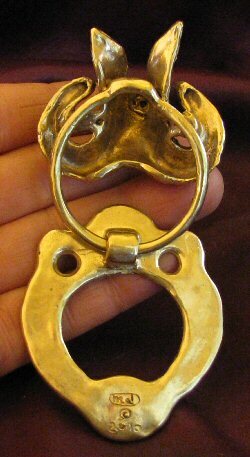 About 2 1/2" high x 2 1/4" wide. 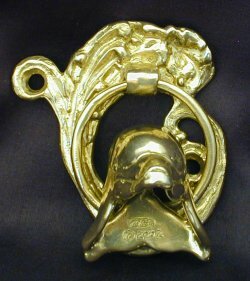 These are especially useful on interior doors, where you might need privacy, such as Bedrooms and Bathrooms. 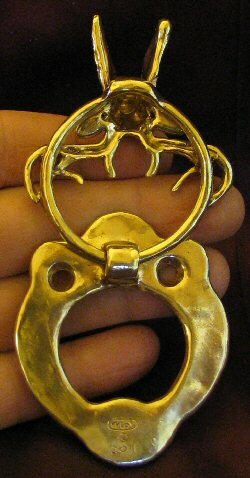 Oval head screws included.